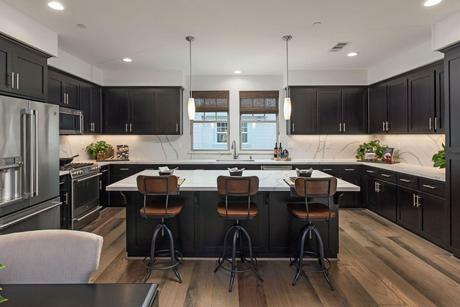 A modern kitchen flare with light tones and dark floors. 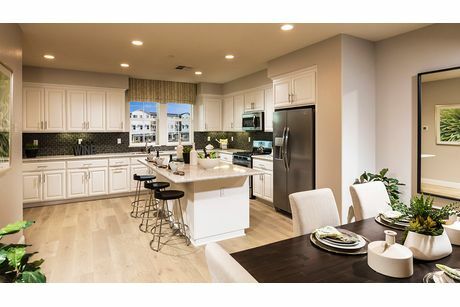 San Jose kitchens are a great mix of new looks and bold colors. 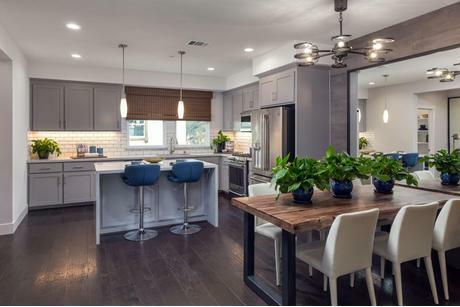 With many dark on white accent these kitchens invite you to spend all your time. The countertops to flooring contrast give these kitchens a new bold look. 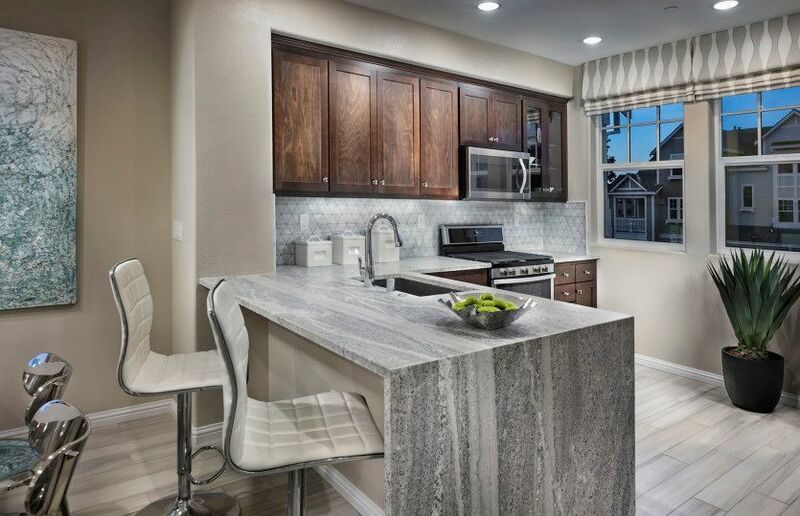 Give your home a more casual, Northern California feel with tan wood cabinetry and white tiles by choosing TRI Pointe Homes. 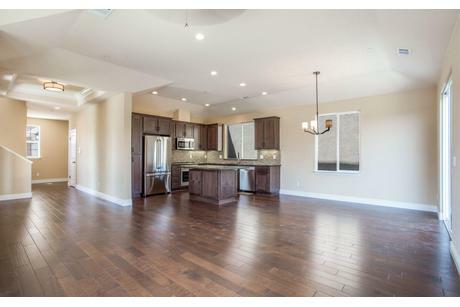 Work with Meritage Homes for beautiful mix of brown tones throughout your kitchen. 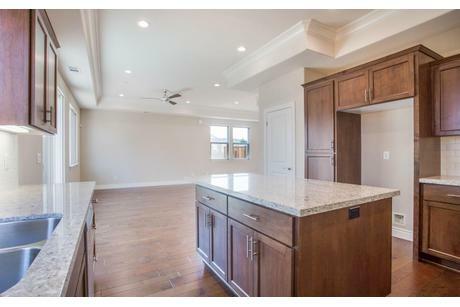 Everyone knows that kitchens sell homes. 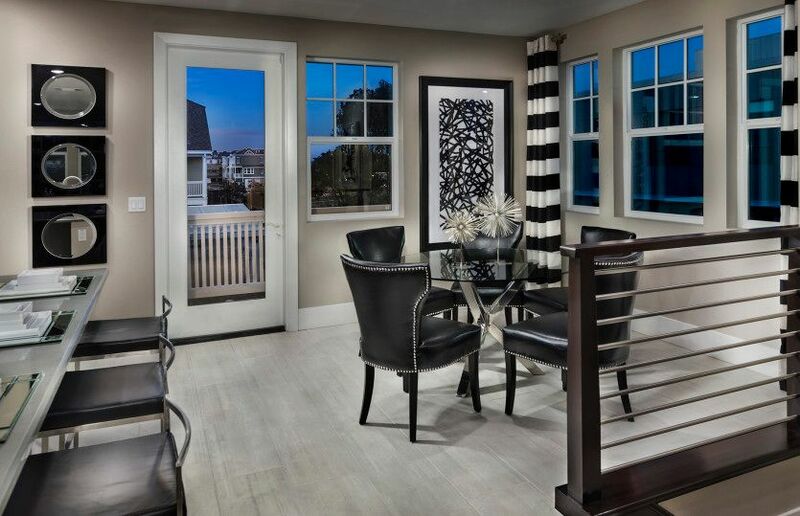 Thoughtful layouts of new homes for sale in San Jose reflect the needs of modern living. 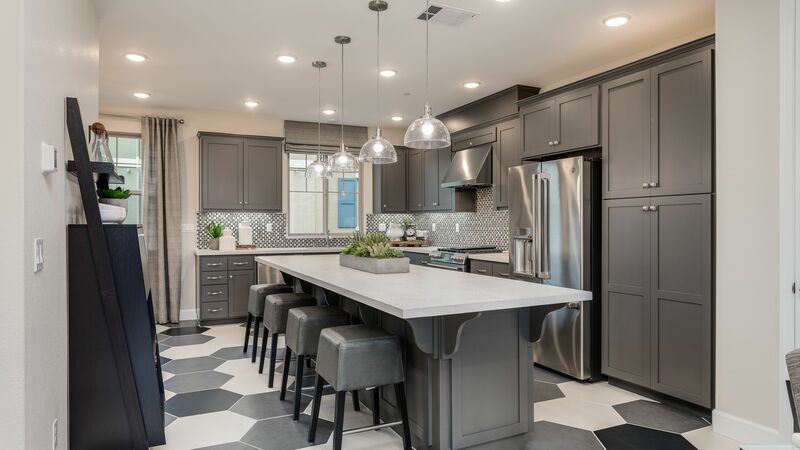 You can see homebuilder’s commitment to delivering quality new homes with beautiful kitchen features home shoppers actually want in their new homes. 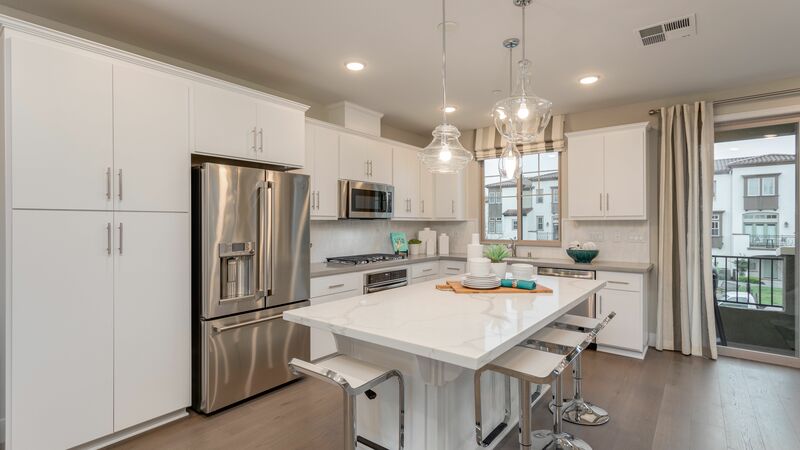 The 60 new homes in San Jose have stunning kitchens you simply cannot find in older houses unless you want to spend tens of thousands of dollars remodeling a closed-off, cramped galley kitchen. 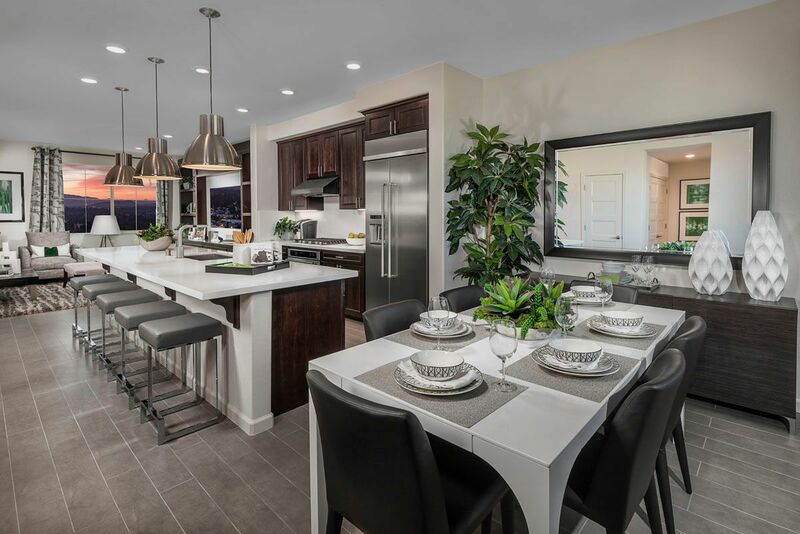 Kitchens in new homes fit in harmoniously in the rest of the living space, and give homeowners bright, airy entertaining spaces, where family and friends can enjoy good times and delicious food. 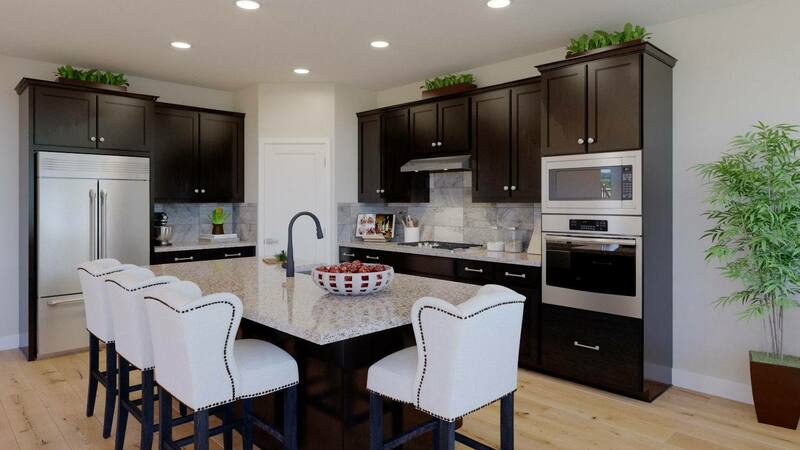 When building your new home in San Jose, you can design your dream kitchen. 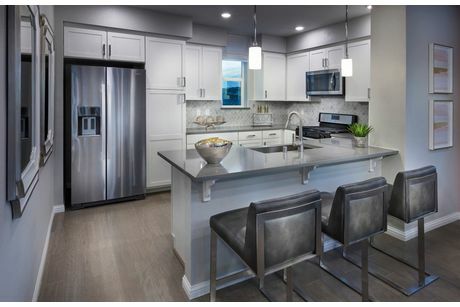 Invest in new appliances and customize everything! 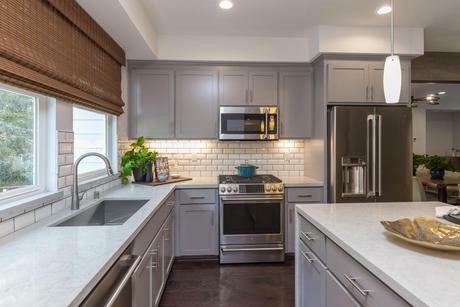 While browsing through HomLuv’s beautiful array of new kitchens, explore interesting kitchen island and backsplash ideas. 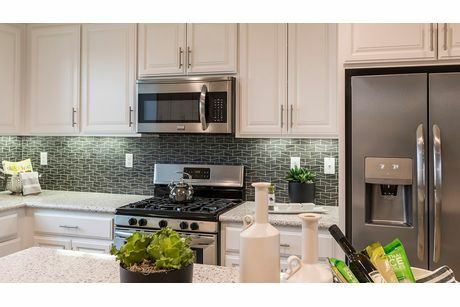 Our high quality pictures can also help you visualize small kitchen solutions. 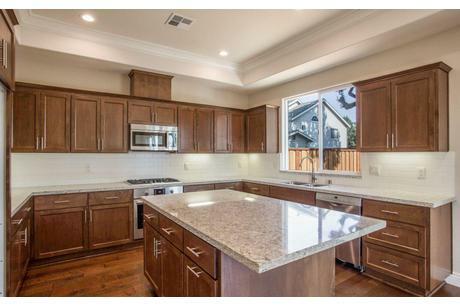 As you explore San Jose kitchens on HomLuv, be sure to rate and save the ones you love. The more kitchens you rate, the more personalized HomLuv can make your results. 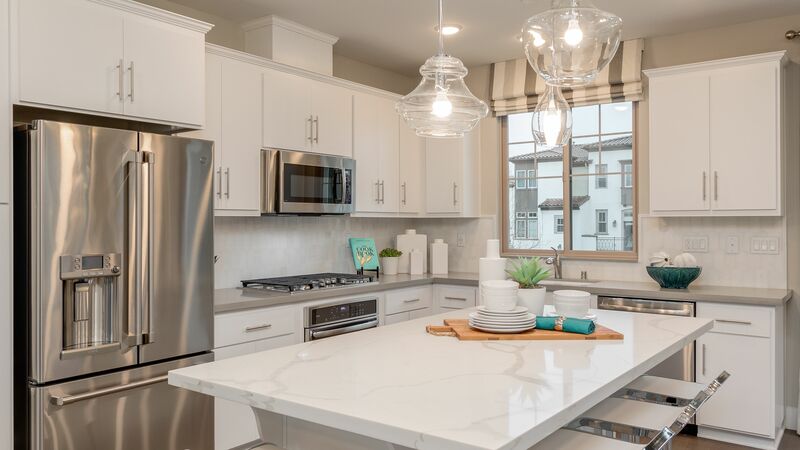 As you look for your new home, HomLuv can help you narrow down the houses in San Jose that have the features -- and kitchens -- you want, and make your dream home closer to becoming a reality.